Sweet 16, presents, 30th birthday, balloons and more. 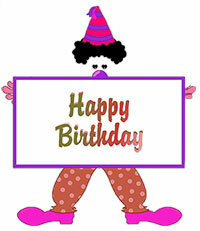 Happy Birthday with Teddy Bear animated. 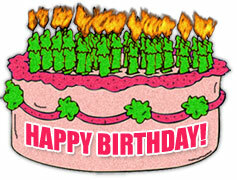 Do you need the fire department handy when blowing out the candles on your birthday cake? 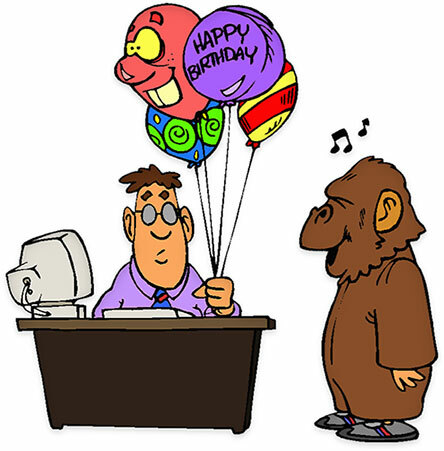 There's nothing like a Gorilla Gram for your office birthday party. Birthday cake with lots of burning candles. 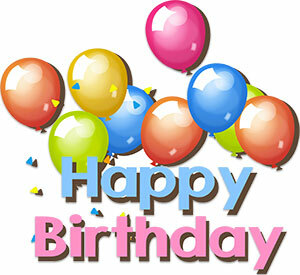 Happy Birthday with balloons, confetti and pastel colors. Happy Birthday Grandma from the grand kids. Happy Birthday sign from friends. 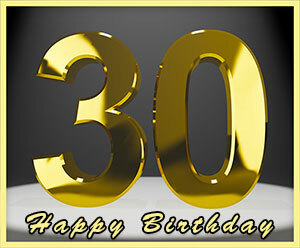 Happy 30th Birthday in gold. Happy Birthday with cool drink plus animation. Happy Birthday. How many 29th birthdays is this? Celebrating your birthday with favors. Clown with Happy Birthday sign. Happy Birthday animated in many bright colors. 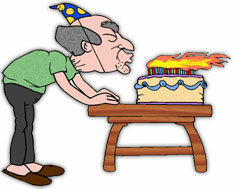 If you are unable to save the birthday clip art images, you may use the copy and paste codes located under many images for Myspace and other web sites.